Standard module for transparent USB 2.0. 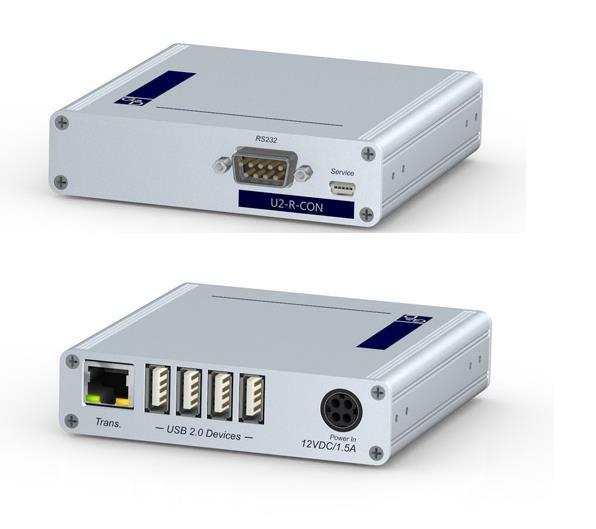 The U2-R-CPU transmits the following signals: USB 2.0 Hi-Speed & RS232. The transmission of the signals occurs transparently. The distance length between the U2-R CPU module and the KVM matrix switch can be up to 140 meters.